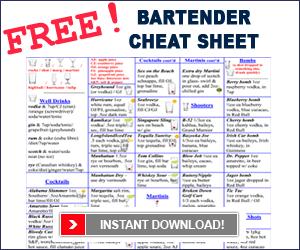 To become a great bartender, you’ll need to learn a few bartending tips and tricks along the way. These bar tips are ideal for keeping customers entertained. They can be used to increase a bartender’s tip, entertain guests, impress ladies and awe a crowd when done correctly. 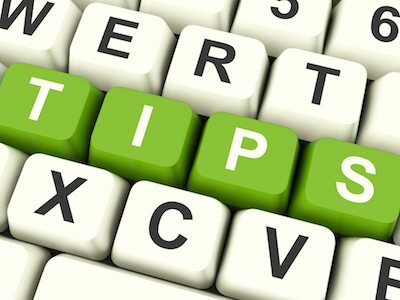 They can also increase the speed at which you do certain tasks. A faster bartender is a wealthier bartender. Whether the place you work at serves apps or you use cocktail napkins as coasters, you can use this simple trick to add a little flair to the usual napkin stack. For this bartending tip, the most important part is how much ice you add to each shaker tin. This is pretty simple to do but looks impressive. Try this on slower nights to entertain your guests and get them to order more shots. You’ve probably seen someone open a beer bottle with a lighter before. But have you seen someone open a beer bottle with a plain ol’ piece of paper? Pouring a pint of Guinness is almost akin to a work of art. Everyone claims to know the right way to pour a pint of Guinness. People will argue a 2 vs 3 pour, how far up the glass to end each pour, what angle to hold the glass, whether to hold the glass up to the spout or not, etc etc. This is as close as you’ll ever need to know about how to properly pour a pint of Guinness. Bars attract more than a steady flow of party people, but also the steady flow of fruit flies. They love the garnishes just as much as the customer does. To keep your bar looking clean and professional don’t hang those strips of sticky fly traps from the roof. Instead make our fruit fly traps that you can hide behind the bar and out of site of customers. They significantly reduce the presence of fruit flies. Jello shots are a fantastically fun way of getting customers in the doors and sticking around. We have an entire Jello Shot section full of tasty recipes.